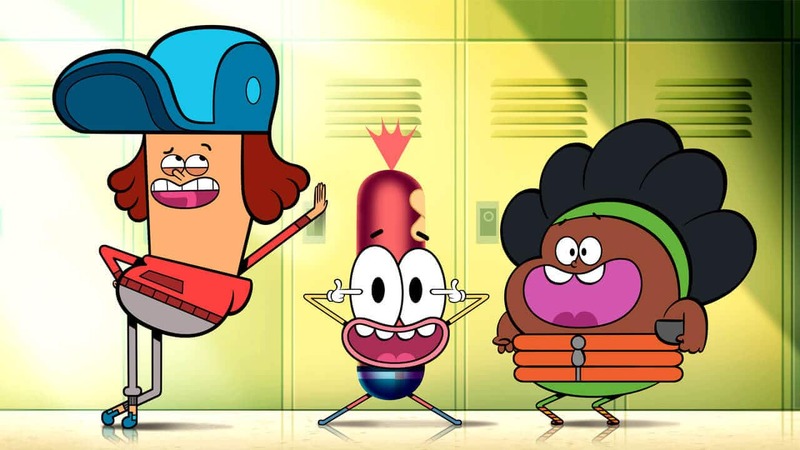 The Nickelodeon turned Netflix show Pinky Malinky looks to finally be releasing on Netflix with its new release date of January 1st, 2019 with it landing on Netflix globally. Season 1 is set to be one of the very first Netflix Originals of 2019 and will consist of 20 episodes. The release date seems to coincide with one of the stars of the show, Lucas Grabeel dressing up as a hot dog for New Years this year. What’s the new series about and who’s in it? The series is based on a pilot that aired back in 2009 and later picked up by Nickelodeon and subsequently Netflix. Many have referred to the show as the original Sausage Party. It follows a Weiner attending school for the first time. The three main stars of the show include Nathan Kress who Nick fans will remember for his role in iCarly. Lucas Grabeel is mostly known for his role on High School Musical and Diamon White is an artist and an actress. What has taken so long for Pinky Malinky to release? This new kids series has gone through what looks like development hell. It was originally announced back in 2015 and was the first collaboration between Nickelodeon and Netflix. The series has been subsequently delayed every year up until now. The last we heard of Pinky was back in the summer where Netflix said that the new series would release on August 17th. That date slipped. One of the best resources we’ve found on keeping up with the developments of this series has been NickALive!. There, you can see the headaches that this series has gone through to be in a position to release on either Nickelodeon or Netflix. When will Pinky Malinky be on Netflix? Chris Garbutt who works on the project took to Instagram to announce that the show will be releasing in early 2019 and the official Netflix page for the show confirms its release date to be January 1st. He also announces he’s involved in a new project but doesn’t state where it’ll arrive. There are rumours and the Wikipedia page does state that the series has been renewed for a second season although we couldn’t verify it beyond there. If the series does come back for a second season, we hope that its production can be sped up considerably rather than having to wait for four years each season. Are you looking forward to Pinky Malinky coming to Netflix? Let us know in the comments. Next story When will ‘Dynasties’ be on Netflix?